Labral tears are a common sports injury and can occur within the shoulder or hip. Labral repair is a surgical procedure used to correct damage to the cartilage in these areas. After determining through a series of tests if you have a labral tear, surgery to repair it is usually the required course of action. 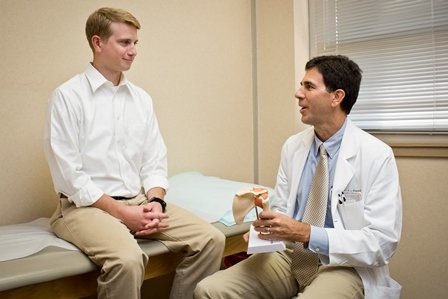 At Guilford Orthopaedic and Sports Medicine Center, labral surgery begins with a diagnostic arthroscopy. Through the use of a small, high-definition camera, your highly qualified surgeon will be able to look inside your shoulder or hip and find the areas that are torn. Once your labral tear is isolated, the surgeon will remove any damage by trimming it down to healthy tissue. After being sure that the labrum is firmly reattached to the bone, the surgeon will close your incisions with sutures or staples. Rehabilitation after surgery is essential for a full recovery, which should take 3-5 months depending on your activity levels. Read more on Labral Repairs for the hip by clicking here. Read more on Labral Repairs for the shoulder by clicking here.